ALBURY Calibration & Engineering has recently introduced the Universal PAT Calibrator Model UPC-3, which has been specifically designed to calibrate any Personal Appliance Tester (PAT). With the recent explosion in the use of Personal Appliance Testers for testing of appliances, power tools, leads etc, the demand for PAT calibration has also grown. This is because Workcover, Worksafe and Australian Standard AS3760:2001 require all Personal Appliance Testers to be calibrated at least every 12 months. The Universal PAT Calibrator Model UPC-3 can test the calibration status of any PAT by representing a 'dummy' appliance to the PAT. This allows the operator to decide if the PAT unit under test meets the relevant standards and if it is still within the manufacturer’s specification. If the PAT is out of specification, the Universal PAT Calibrator may be used to adjust the PAT back into specification. The Universal PAT Calibrator provides insulation, earthbond, continuity resistances, and earth leakage currents for both PASS and FAIL conditions, so that calibration values can be easily found. 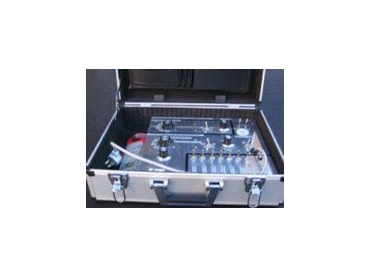 The Universal PAT Calibrator is built into a rugged aluminium case, which is ideal for use out in the field. The unit also comes complete with a detailed instructions booklet and a 12 month warranty.